It tells the story of a secretive Special Forces unit, uniquely made up of American, British, and French volunteers, who parachuted behind the German lines to assist with the recapture of France in 1944. Dropped in teams of three, the Jeds would rally local opposition to the Germans and conduct guerrilla warfare-sabotage, ambush, and intelligence gathering-ahead of the advancing Allied armies. Through enormous endurance, cunning, and strength of will, they contributed to the Allied breakout from the Normandy bridgehead and to the rapid advance to the German border. 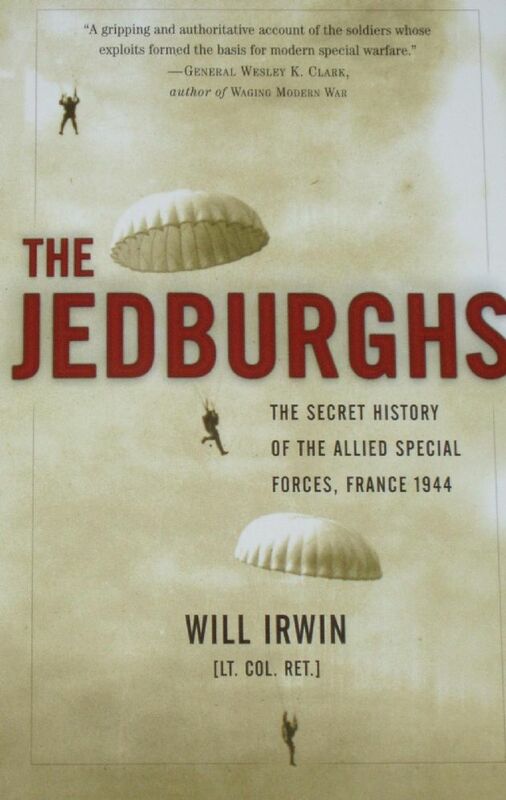 Will Irwin, who served in the modern U.S. Army Special Forces himself, has selected seven of the Jedburgh teams and told their stories as gripping personal narratives, offering a new perspective on the D-Day landings. The result is a vivid drama of the battle for France from deep behind enemy lines.